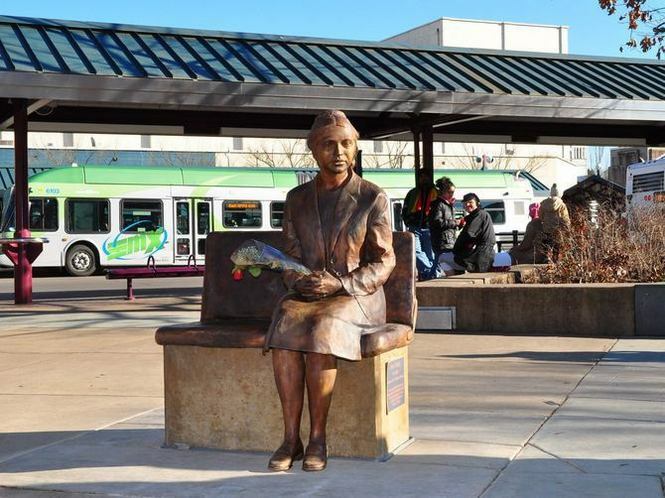 Let’s honor Black History month by meeting at the Rosa Parks statue outside the Eugene LTD Bus Station on 10th & Olive. From there we’ll trace out the shape of a bus and then double back to the Bier Stein for for a post ride libation. We’ll see ya at 7:30pm on Thursday, January 20th. Thanks to Mike for the bus idea.